The Holiday Seasons is upon us, and once again readers have asked us for our gifts ideas. Our selection criteria for all categories is the same every year: the items have to be things we have actually used or they have to be things we would actually want. For the RainyDaySport Gift Guide, we thought we would round up a selection of items which would help folks relax, realign, and/or recover after a workout, along with a few things which will help folks stay fit. Jumping rope may seem like child’s play, but it is probably one of the most efficient aerobic exercises available. If you have a fitness fanatic on your gift list, help them ramp their aerobic workout to a whole new level with a speed rope from Fit Skuad or RPM. 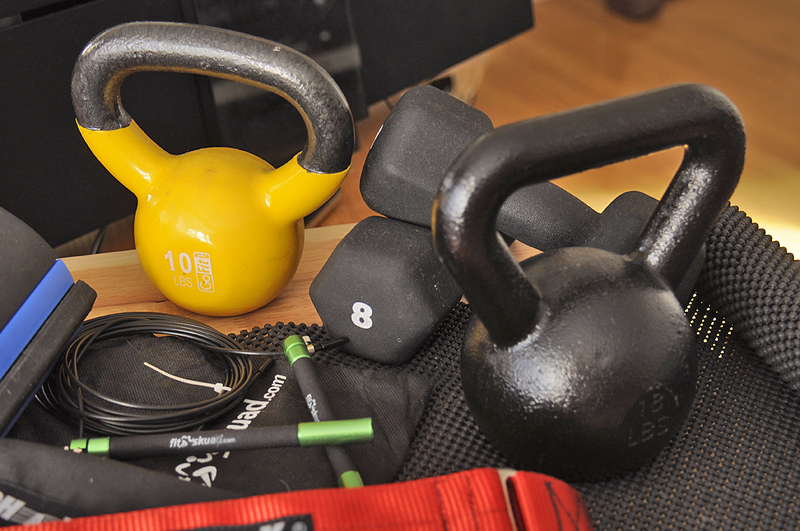 Kettlebells were developed in Russia in the 1700s, primarily for weighing crops. Who knew exercises based on lifting these weights would become one of the best ways to build up the core and increase grip strength? An important part of strength training is flexibility, and stretching is the best way to increase it. To do it properly requires proper technique and commitment. Of course, the right equipment always help speed things along. We have found the Stretch-a-flex to be that “right” piece of equipment. 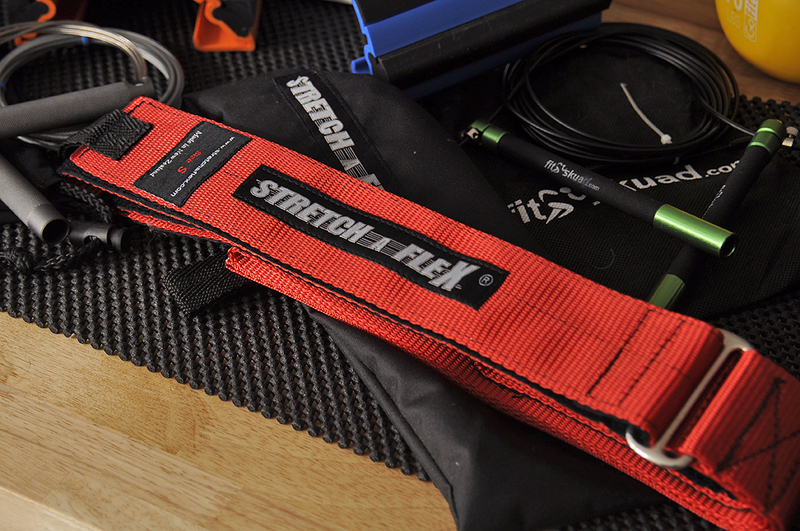 Stretch-a-Flex – Quick to setup, simple to use, and very portable. Strains and stresses on muscles and joints will happen. The best thing to do is to get plenty of rest and let the body heal. To help the process along, the application of both hot and cold to the affected area have been shown to be effective in reducing pain and speeding recovery. The following companies have wraps with removable and reusable hot/cold packs designed for every part of the body. 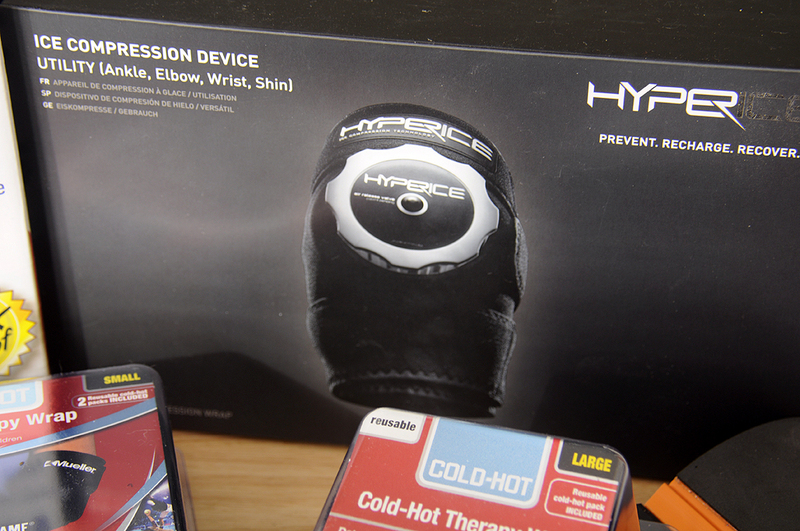 HyperIce develop products which would improve athletic performance by enhancing athletic recovery and preventing injury. They do this by collaborating with some of the world’s best athletes and trainers so that the products would meet their standards. Ice Cell with Air Release Technology: The Ice Cell provides the storage for the “cold” component. Arc – Relieves neck pain, muscle tightness and improves postural mechanics. The device creates tension relief by applying pressure to these sub occipital muscles via pressure inserts. By lying down on arc, the inserts apply pressure on the trigger points through the weight of the head creating relaxation of the muscles and relief from pain and headaches. Miracle Balls – A method of pain relief developed by Elaine Petrone after struggling with her own terrible back pain. The name kind of says it all.